Planning a second wedding can be both wonderful and fun. It’s your second chance at love with an once-in-a-lifetime partner. For many though, this type of event also brings feelings of anxiety and self-doubt. Many questions may run through your mind. Haven’t I already done the “big wedding” thing? How do I make this one different? Should I wear white? Do we register for gifts? While these thoughts are common among second-time brides, the most important thing to keep in mind is the true purpose of the day… celebrating your union with and commitment to the one you love. The first step to planning a wedding is always the same – you must first decide what type of event you want. Most people realize that the size of the guest list isn’t as important as being surrounded by the ones you love and cherish. This may mean a smaller wedding comprised of close relatives and loved ones. Other couples find themselves combining two lives with a long list of friends and family they have met and grown with along the way. This may mean a larger affair with more guests. There is no “right size” for a second wedding guest list. Choose the one that feels right to the both of you. When it comes to your wedding dress, you should always choose the one you love best. While many brides choose an ivory or off-white gown, others still prefer the traditional look of white. If you are more daring, you could even opt for a dress in your favorite color. The veil is another piece of attire to consider. Many forego this accessory the second time around but the decision is ultimately up the one wearing it. At your first wedding, you may have filled your registry with every spatula, towel, and wine glass the home goods store had to offer. You were making a home and many generous guests wanted to help you do so. For a second wedding, many couples are combining their possessions and find themselves bursting with two of everything. The need for a traditional wedding registry is often unnecessary especially if many of the guests already brought a gift to the first one. Many couples opt not to register for gifts in the traditional sense. Even when doing this, some guests will inevitable bring a traditional gift. It is best to accept these gifts with the same loving spirit in which it was given. Many second-time brides find it surprising that the groom may have some strong opinions when it comes to the wedding details including wanting a more traditional approach. Especially if this is their first trip down the aisle, you should carefully consider their thoughts and allow them to play a larger role in the overall planning of the day. Planning a second wedding can be a joyful experience for both the bride and the groom. At Windermere, we have experience in helping couples create a beautiful event to celebrate their second chance at love. 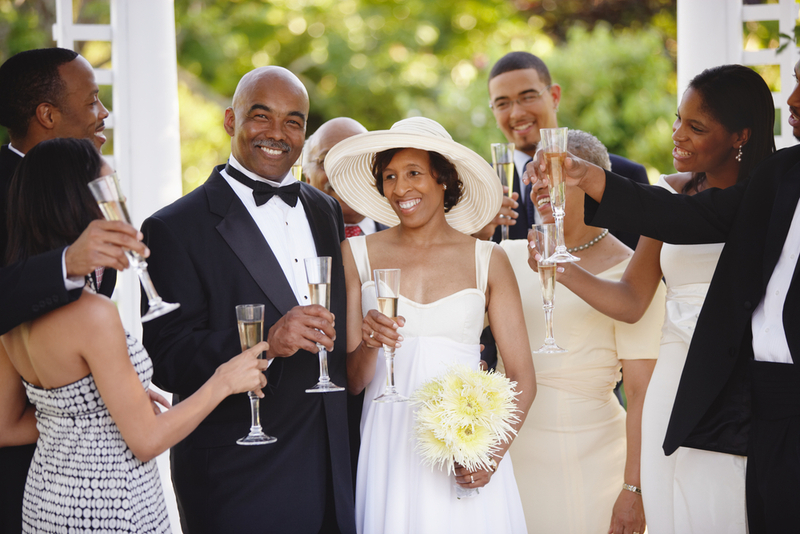 Whether you are planning a traditional affair or a more casual occasion let us help you plan for your special day. Contact us today to learn more about wedding services.